I've usually seen the name Robert Moevs in connection with his extensive output as a twelve-tone composer. He was born within shouting distance of my home town, so I've always been curious about him. Over the years I've collected a few scores and recordings. 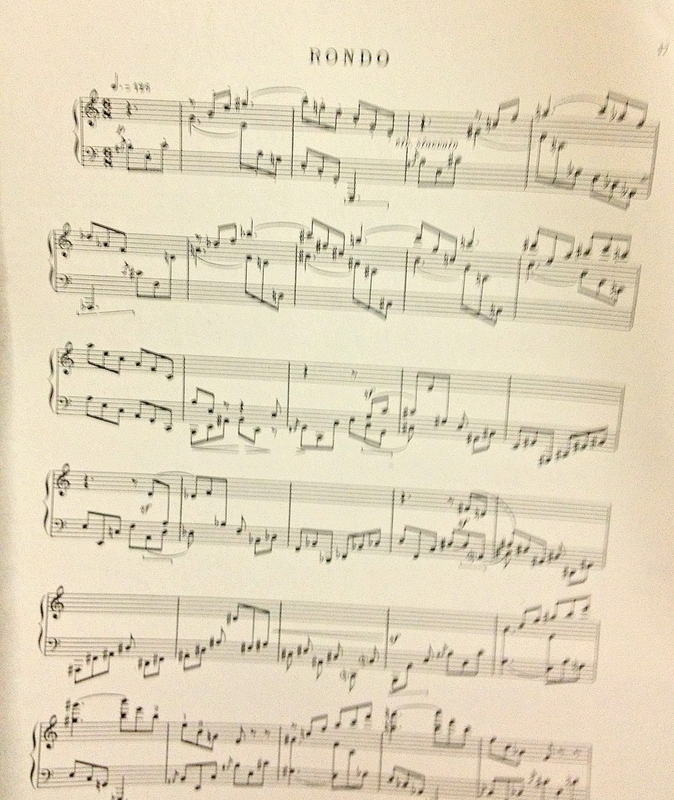 Tonight I returned to an early work, the Piano Sonata, and really enjoyed it. Unfortunately the pianist on the late 50's CRI recording, Joseph Bloch, offers little psycological insight and worse rhythmic authority. Bloch is certainly a virtuoso, and others on the internet regard this performance as first class. (He was a beloved teacher at Juilliard.) Personally, I hear only fingers, not heart and beat. The liner notes are also misleading. Sonata per Pianoforte is not at all a neo-classic work. Trimble fails to give any correct sense of what this work is about. Sonata per Pianoforte is exotica, perhaps even faux Orientalism (despite the Italian spelling). It comes across as American only because the lines are too clean and wiry to be confused with, say, Scriabin or Khachaturian. The obvious comparision is the marvelous Piano Sonata by Charles Griffes, which also combines "exotic" synthetic scales with New World drive. 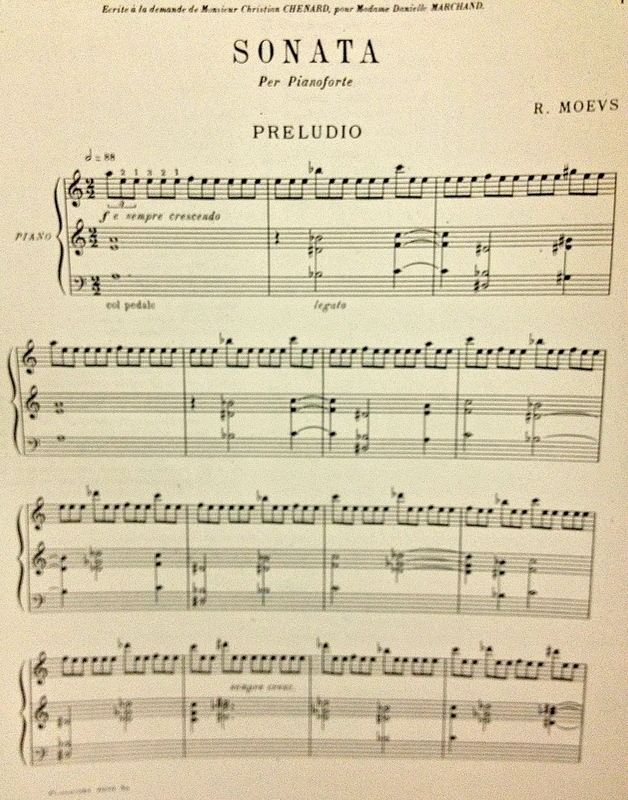 Pianists who already have the Griffes in their repertoire might want to look at Moevs, who has even more bitonal contrapuntal control than Griffes. 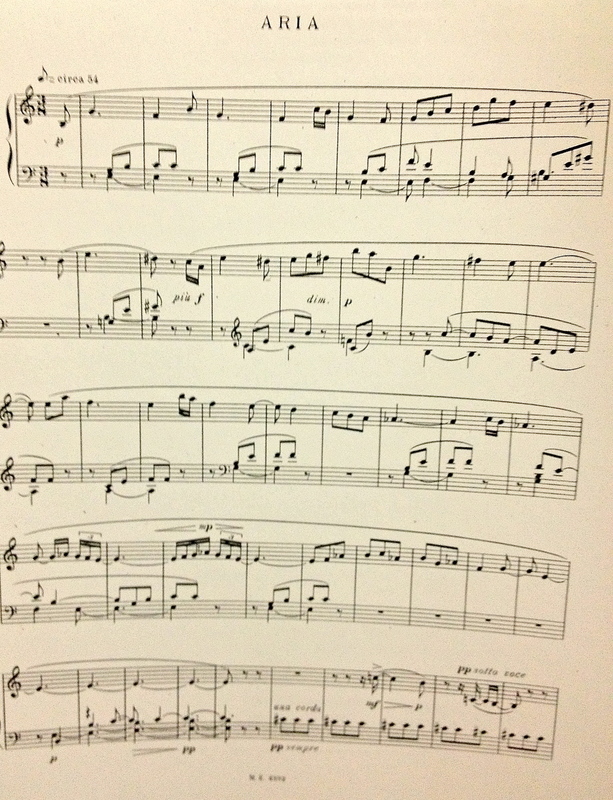 Sonata per Pianoforte also seems to suit the instrument beautifully, although good repeated notes are required! While Bloch does very well articulating all those repetitions in the first movement, he comes to grief in the repeating octaves of the "Canone." The metronome mark may be unreasonable? In general Bloch seems hasty; I'd love to hear someone play the whole work a click or two slower and with clearer rhythmic intention. Here are four mediocre iPhone photos of the first pages of each movement. I photocopied the score at the Library of Congress. Yesterday I was spinning another old CRI LP: Irving Fine plays two movements from Music for Piano. Now, this is a neo-classic work. 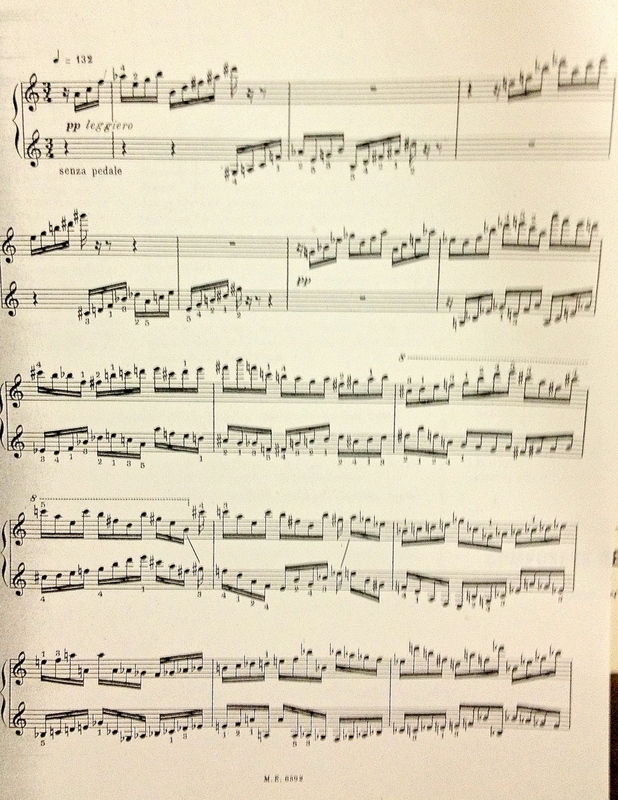 Many of the pages offer almost nothing but the major scale explored a post-Stravinsky toccata fashion. That sounds like a recipe for blandness, but Fine had real melodic genius. And my god, was he a hell of a piano player! Amazing, gutsy rhythm and a bell-like tone. Too bad he didn't record the whole set. As far as I know, the only complete recording is on a excellent recital of Fine, Harold Shapero, Carl Ruggles, and Gian Carlo Menotti by Michael Boriskin. Fine turns 100 near the end of the year. I'm considering listening to everything I can find and writing an DTM overview. He didn't compose that much (he died comparatively young), most of it is available, and everything I've heard is top shelf.